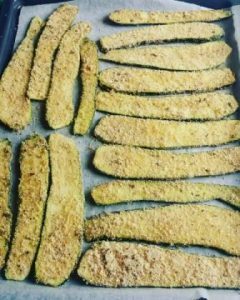 The great thing is that you can prepare zucchini in advance and give them final touch (grilling them in your oven) minutes before serving them. So, are you ready to try a new recipe? 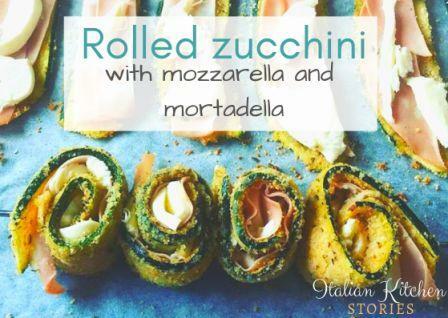 Follow the easy steps and prepare your first rolled zucchini with mozzarella and mortadella in no time. Wash zucchini, dry them with a paper towel and slice them thin. In order to slice them evenly, I have used mandolin. But if you are skilled with the knife, and are able to make thin long slices, go for it. 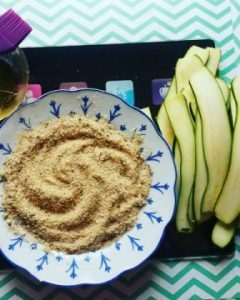 Use a big plate to mix breadcrumbs, grated parmesan cheese, salt, and dry oregano. Give it a nice stir with your hands making sure that all ingredients have mixed well together. Pour extra virgin olive oil in a cup and use a silicone brush to glaze the zucchini with the oil on both sides. Now place the slice one by one on the plate with the breadcrumbs mix and tap them slightly. Crumbs need to attach to the zucchini in a nice thin layer. 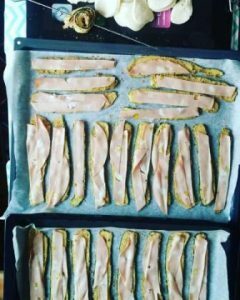 Once covered in crumbs, place them on baking paper (I had 2 full baking trays) and bake them in a preheated oven (200C) for 10 min. Let the zucchini cool down before adding the mortadella (you can also use cooked ham, prosciutto or fish slices). 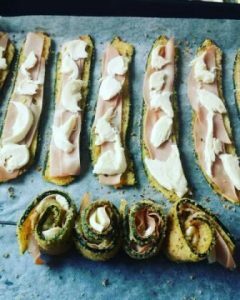 Cut mortadella slices the same width as zucchini and place them over. Chop mozzarella (or any cheese of your liking) with your hands and add bits over mortadella. Now, very carefully start rolling the zucchini without pressing it. Once rolled, pierce it with wooden or metal skewers. 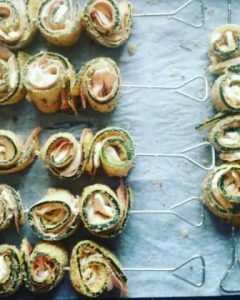 Add zucchini rolls until you have completed the skewer (I have used 4 rolls per skewer). Place all skewers on a baking tray and put in the oven and use the grill to give it a final touch (if you don’t have grill option just use a regular heat). I have grilled them for 12 minutes on 200C. 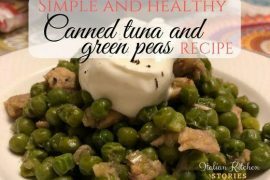 You can serve it as a main dish by adding a salad on a side.